Find detailed product information by clicking on the link(s) shown in each manufacturer's section. When you're ready to place your order give us a call or log into our Dealer Center page to place your order online! Need to get a password to log into the Dealer Center? It's easy, click here or go to the "Become A Dealer" tab at the top of the home page, then download and complete the form. Once the form is complete save it, and return it to us via snail-mail, fax, or as an email attachment at: staff@windowwares.com . Once we receive it we will begin processing your application, as soon as the processing is complete we will contact you. Have questions? Please call us, use the form shown on the "contact us" page, or email us - we have a friendly and knowledgeable sales staff ready to assist you Monday thru Friday 8:30 to 4:30 CST. Durable, easy to operate, and available in a wide range of colors and materials, Graber® Vertical Blinds are a cost-effective solution for reliable light control on your wide windows and patio doors. 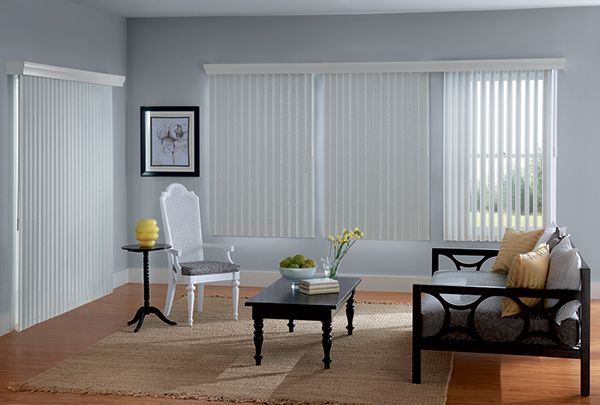 Our Vertical Solutions® Vertical Blinds are an economical assortment of verticals offered in 3 ½" styles, patterns and colors. Available in fabric and vinyl. 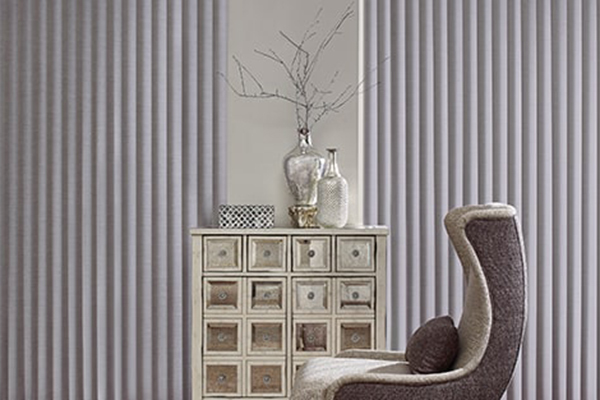 The Panel Track system is a modern alternative to vertical blinds. Panel Track shades feature wider fabric panels that slide from side to side using a cord or wand control and are a perfect solution for covering patio doors, large windows or even as room dividers. For information on available materials and for coordinating shades, see Genesis® Roller and Roman Shades or Manh Truc® Roman and Roller Shades.